We just got some new overhead shots of the KaBOOM! Nature Built Playground in YMCA of Honolulu Camp H.R. Erdman in Waialua, Hawaii! 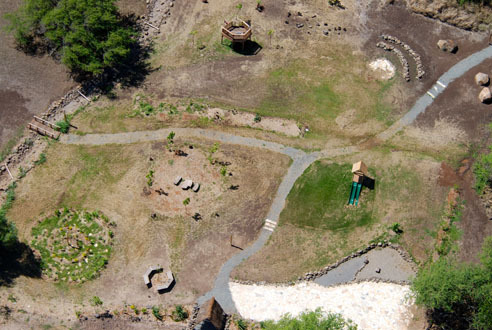 The 29,000 square foot playground celebrates nature in a fun and exciting way, with a unique blend of natural elements in a landscape. 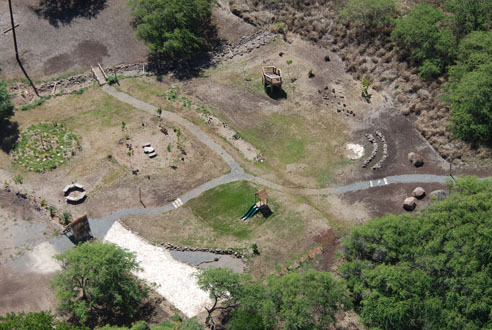 Native plants and materials were used to create the spacious playground, which also functions as an educational tool on environmental sustainability for the Camp’s children.